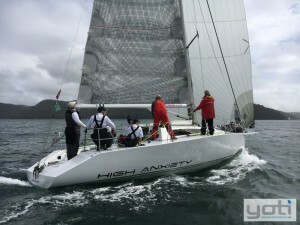 High Anxiety, a modified Elliot 10.5 is proudly and exclusively listed for sale with YOTI. 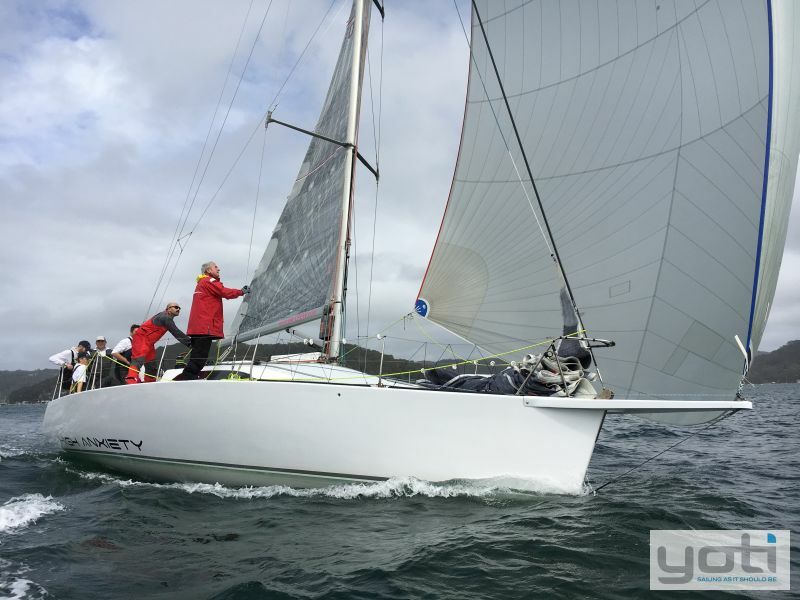 Built by Stilwell Boats and subsequently modified with a new rig, lift keel and casing, and hull extended to 10.8m with design modifications by Ian Murray & Associates and High Modulus NZ. 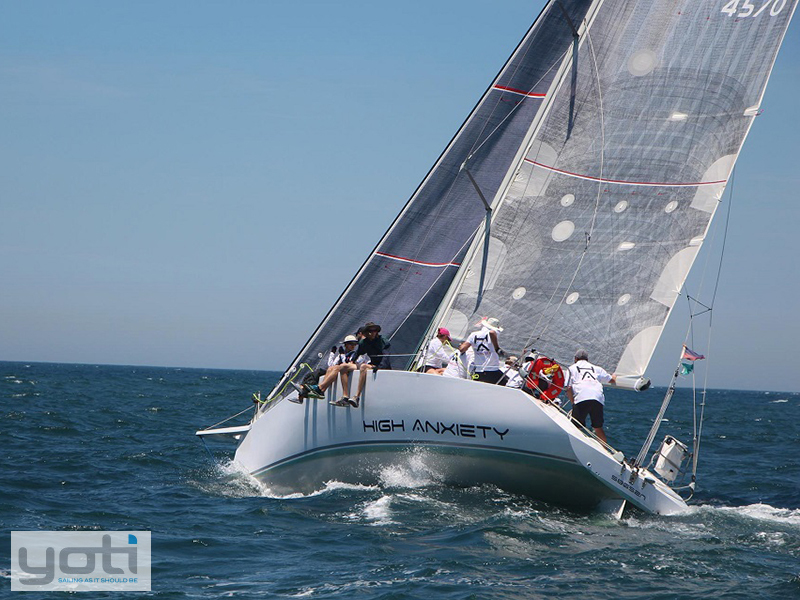 High Anxiety is a seriously competitive head turner at an entry level price point, a race yacht that has been very intelligently improved throughout her time on the water. 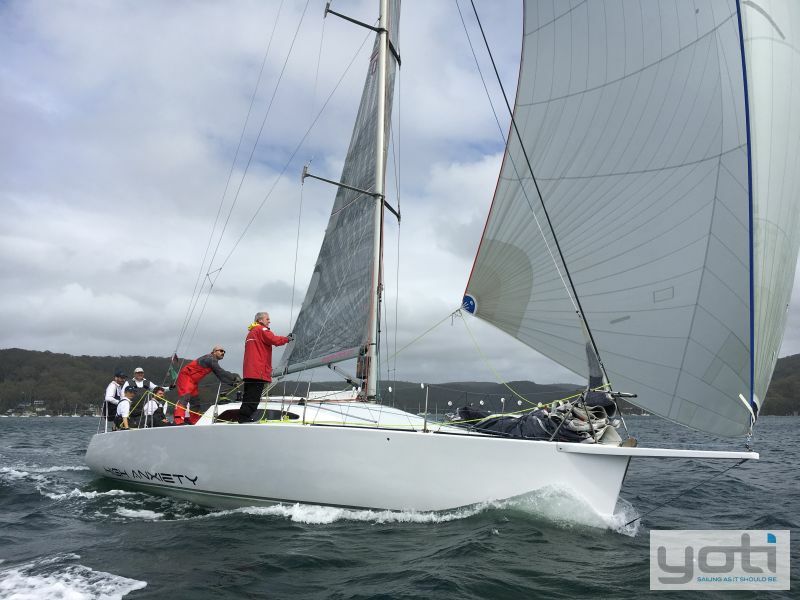 Further improvements were crowned with a carbon fibre bow sprit built by Northshore Marine on Pittwater in 2014 offering what we all want: less reliance on crew numbers - bigger kites - more fun. 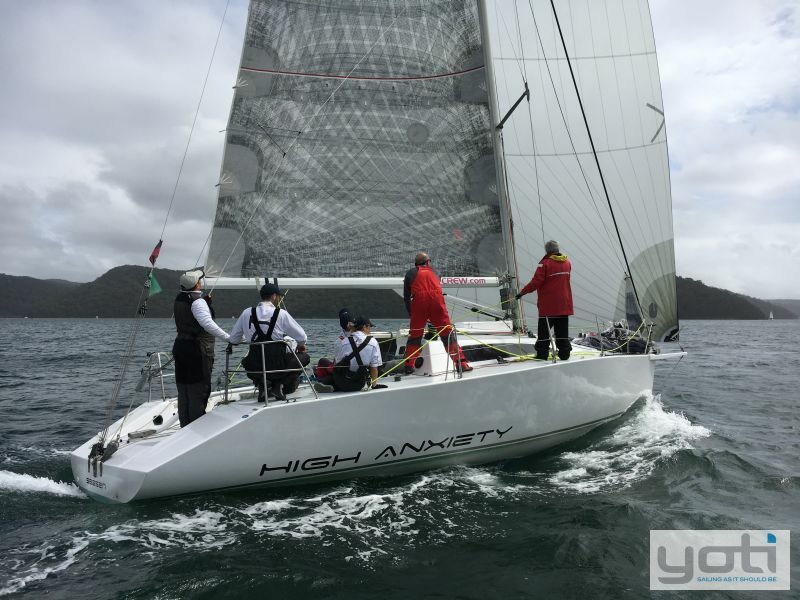 High Anxiety's recent results speak for themselves with victories in both inshore and offshore racing, including winning her division in all of the following: 2017 Sydney Harbour regatta, 2016 Pittwater to Coffs, 2015 Bird Island Bluewater, 2015 Pittwater to Newcastle Bluewater, 2015/16 RPAYC Summer Inshore Series. Hull topsides were resprayed in 2015 and it shows. Further recent updates include new Raymarine auto-pilot components (making your delivery home easy), new AIS / Bluetooth stereo with cockpit speakers / electric marine head / LED lighting / keel fairing. You will look good in this boat and you can win races in this boat at a fraction of the cost of her main competition. 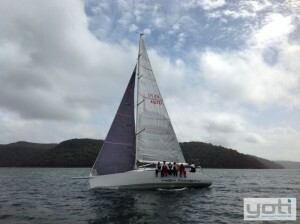 Contact us for more and to inspect on Pittwater. Hull Construction Material : GRP Epoxy over Duracore. 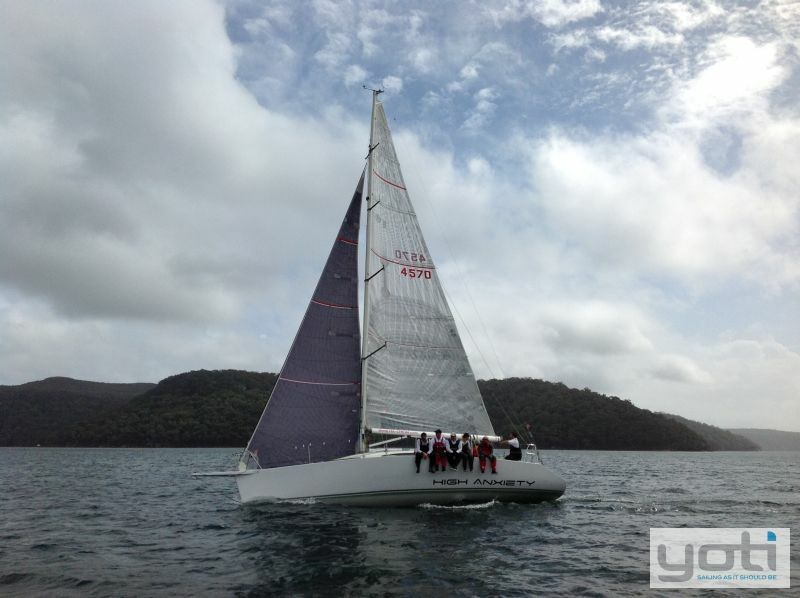 Length (feet) : 35' 5"
Keel/Ballast : Hydraulic lifting keel Aluminium fin with lead bulb. 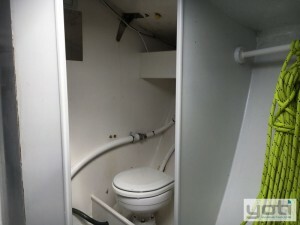 Engine Room : Engine Under companionway stairs. 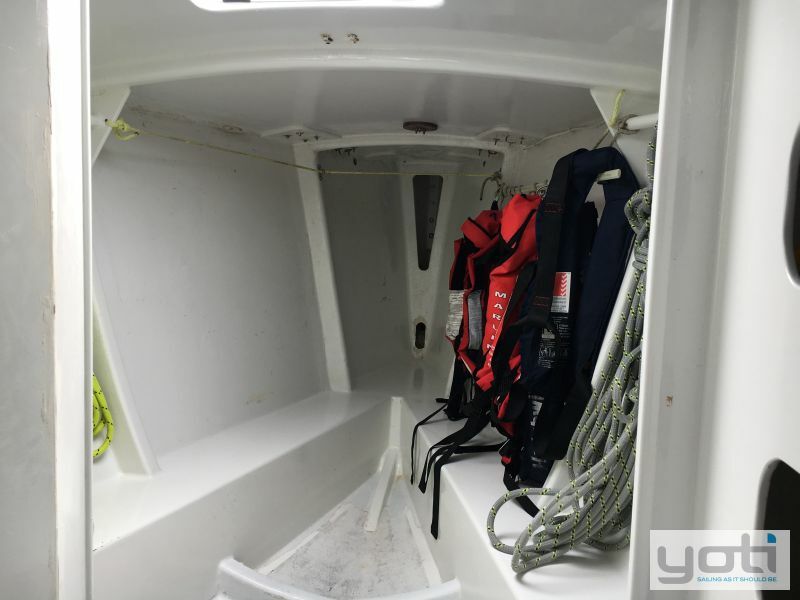 Number of Batteries : 2 x 100 AH gel batteries new 2014 (1 x service, 1 x crank). Number of Berths : 6 - 2 x double quarter berths with lee cloths + 2 x singles in saloon. Number of Toilets : Jabsco electric flush toilet (2015). 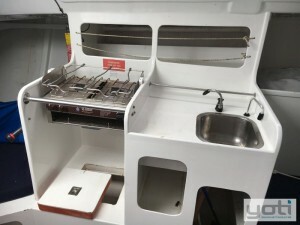 Number of Sinks : Stainless steel sink. Manual hand pump for fresh water. Foot pump for salt water. Entertainment and Appliances Notes : JVC Bluetooth radio/CD & fusion deck speakers (new in 2015). Anchor / Winch : 1 x 11kg spade anchor. 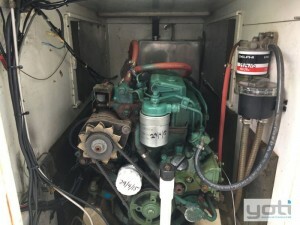 Bilge Pump : Manual diaphragm to forepeak and cockpit. Deck Gear : 2 x Barient 24.2 x Barient 22-39.2 x Barient 27.2 x Barient 21 (all Self tailing, 4 cockpit, 4 x coachroof). 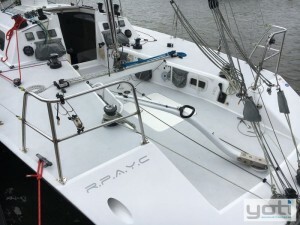 Mast/Rigging : Allyacht Spars, extruded aluminium, keel-stepped fractional rig new in 1998, Triple aft-swept spreaders and double jumper struts at hounds. 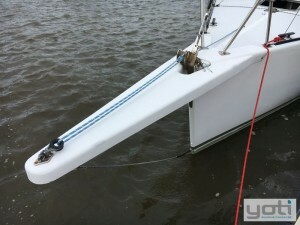 Aluminium boom with new in boom outhaul (outhaul new 2014). SS Dyform rigging out & overhauled with new standing rigging in 2010. Carbon fibre bowsprit built new 2014. New Seldon rigid boom bag (2014). 4 new spinlock halyard clutches 2014. 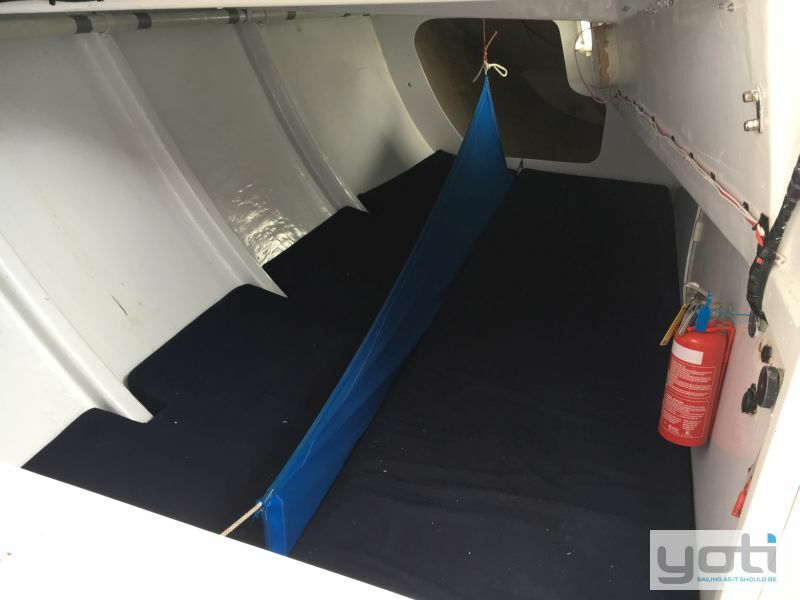 New masthead spinnaker halyard. Sail Inventory : 2013 One Sails Carbon/Technora. Kevlar delivery main (McDiarmid). #1 Genoa (140%)-2013 One Sails M3 Carbon/Technora (excellent). 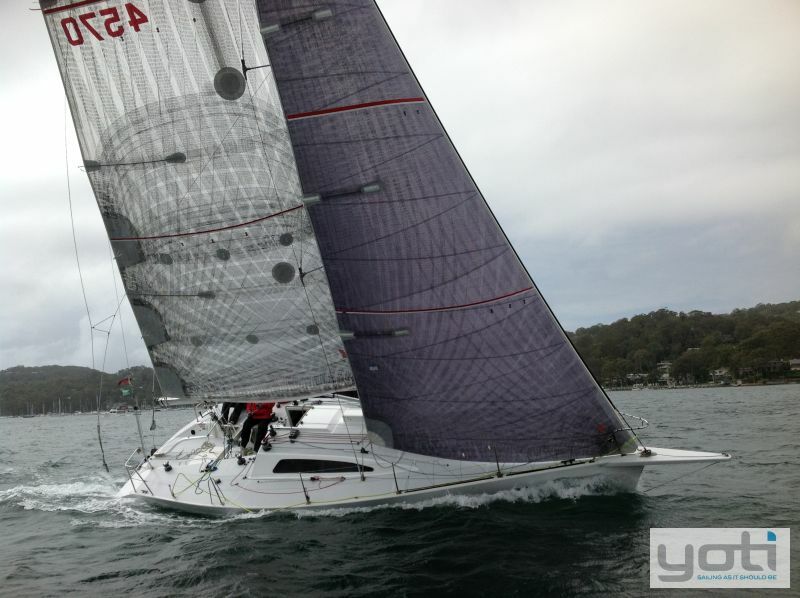 #2 Genoa (130%) - 2013 One Sails Carbon/Technora (good). Delivery #1 Heavy Kevlar McDiarmid. 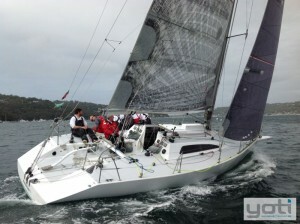 #3 Jib (100%) -2014 One Sails 4T Forte (excellent). 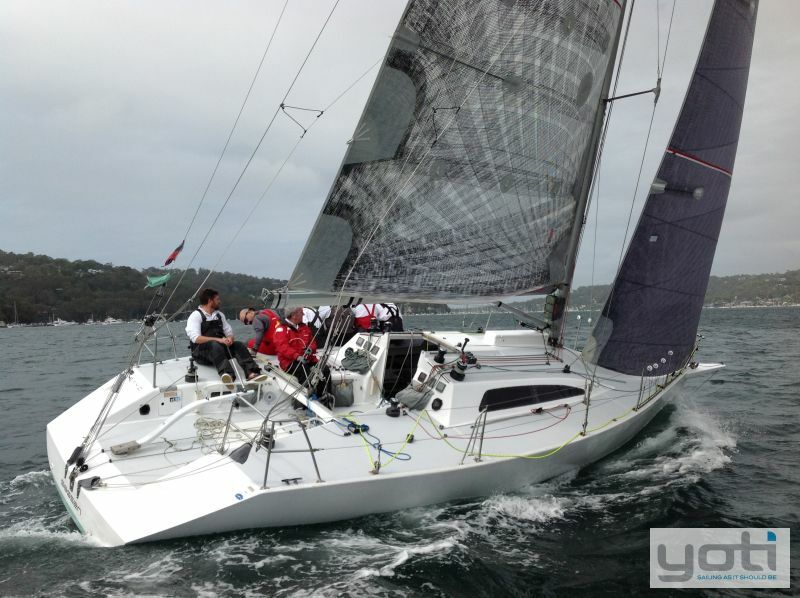 #4 Jib (70%) - 2014 One Sails 4T Forte (excellent). #5 Jib Heavy Dacron (fair). Delivery #3 Carbon McDiarmid. A1 light - (Fair). A2 brand new 2016 (Grey). R2 light - (poor). A5 Heavy - (Ok). Symmetrical S3 (Ok). StormJib & trysail 2014. Electrics : All new LED interior lights (2015). Nav lights. 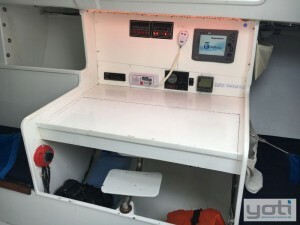 Electronics Navigation : Nexus race box. Nexus race box analogue wind display. New Raymarine Autopilot head unit & tiller ram (2015). New AIS install with VHF antenna splitter (integrated with Raymarine C80) 2015.2 x compasses in cockpit. Covers : New cockpit bags. New winch covers. 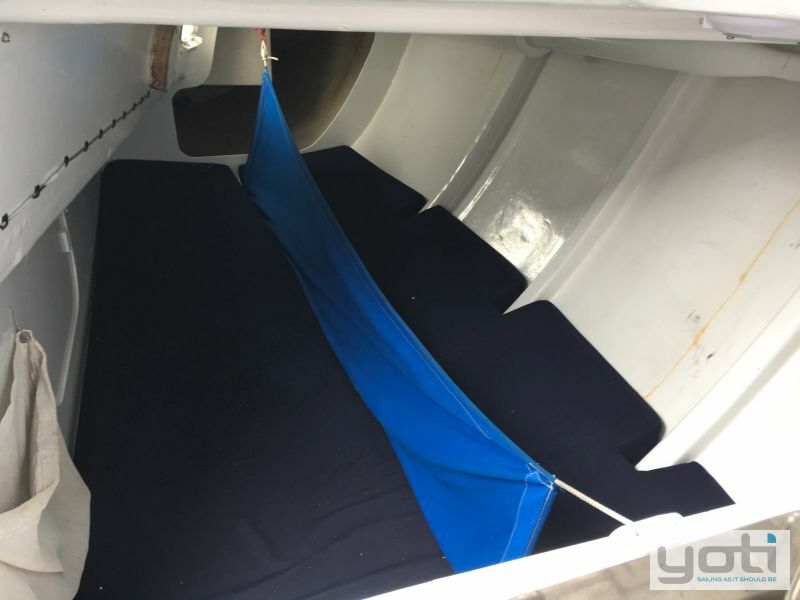 New mainsail cover (all 2014). Safety Gear : Recent Cat 7. Radio : GME DSC VHF radio (new in 2015). Remarks : Hull topsides resprayed 2015. Stanchions r-ebedded 2015. Deck painted 2014. Spare winch bearings. 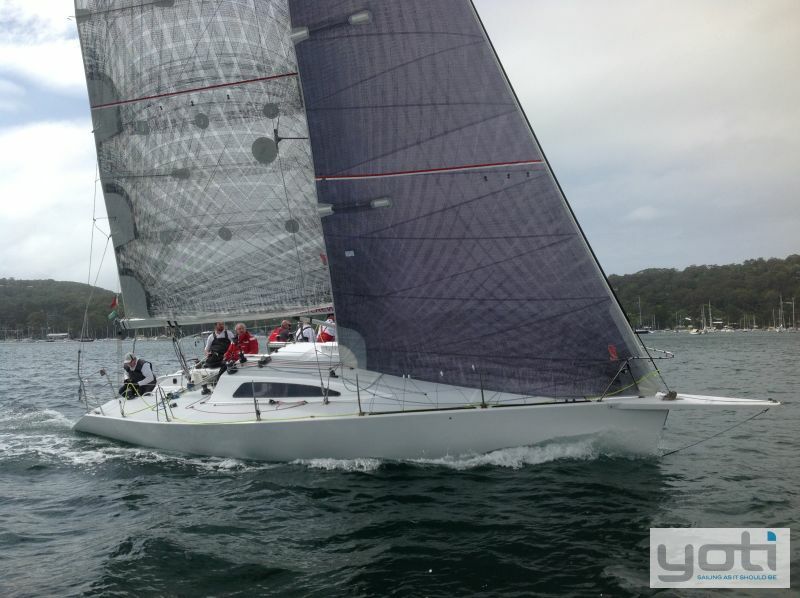 Winner of 2017 Sydney Harbour regatta, 2016 Pittwater to Coffs, 2015 Bird Island Bluewater, 2015 Pittwater to Newcastle Bluewater, 2015/16 RPAYC Summer Inshore Series. Currently racing in Cat 2. 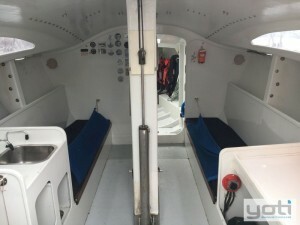 Custom Elliot 10.5m built in 1988 by Stilwell Boats Pty Ltd. Subsequently, modified with a new rig, lift keel and casing, and hull extended to 10.8m. 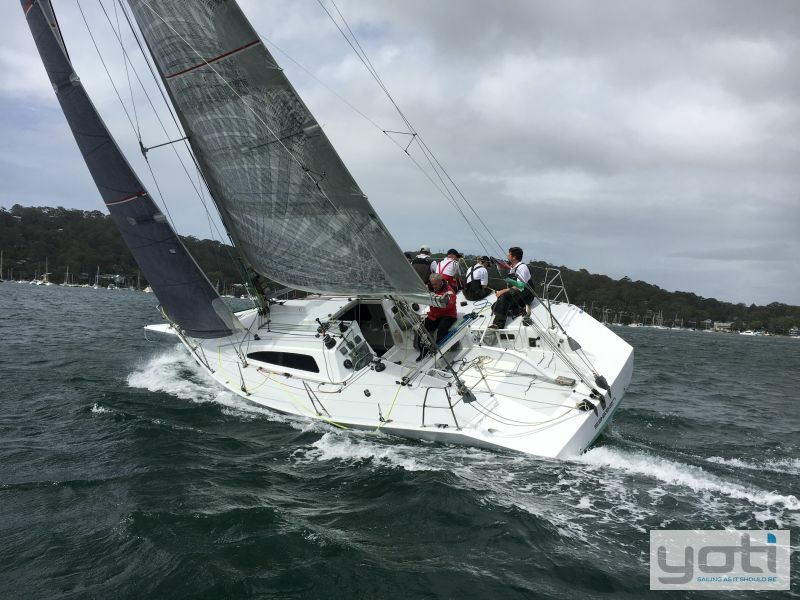 Design modifications by Ian Murray & Associates and High Modulus NZ approved by American Bureau Shipping (ABS) yacht scantlings. 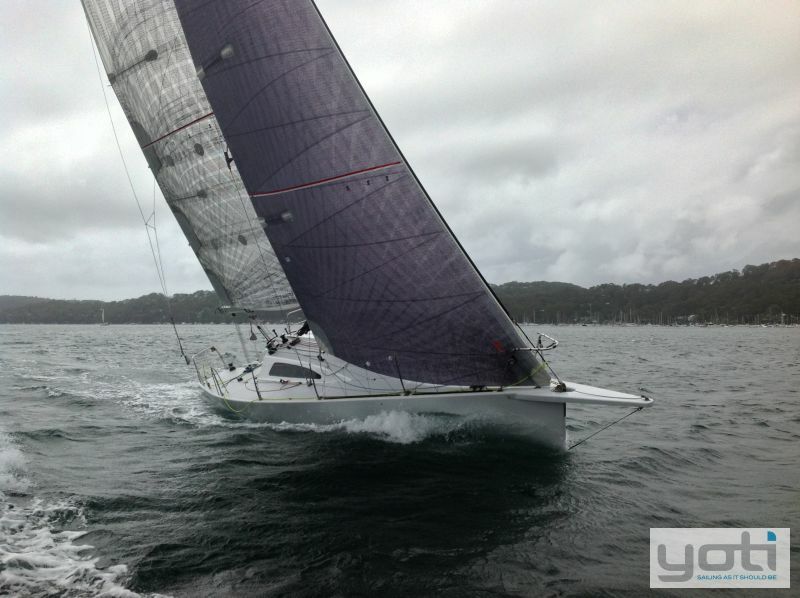 Further improvements in 2014 with custom carbon bow sprit. Anti-foul : Slipped, serviced & sprayed August 2017. 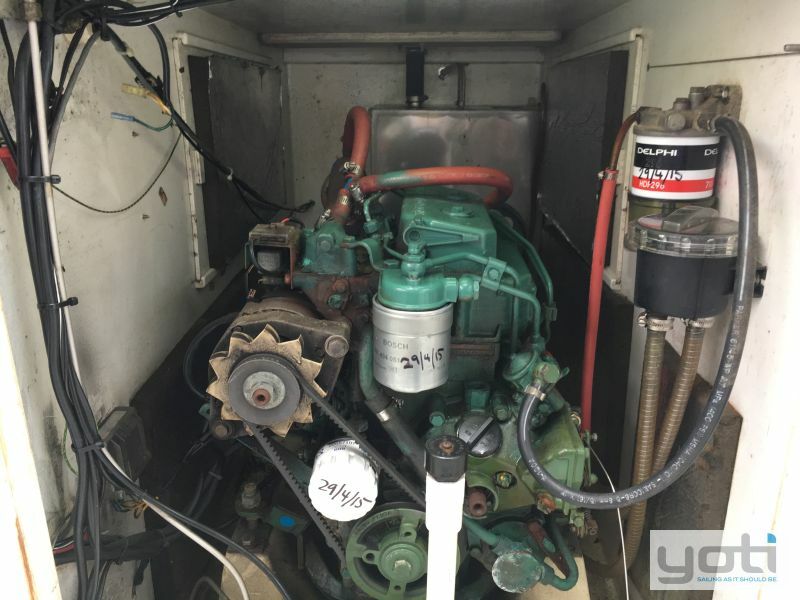 Service History : Engine serviced August 2017.